We sampled Electric Cellos, Guitars, Basses, Synthesizers, Ethnic Instruments, Percussion, and Human Voices for The Source. 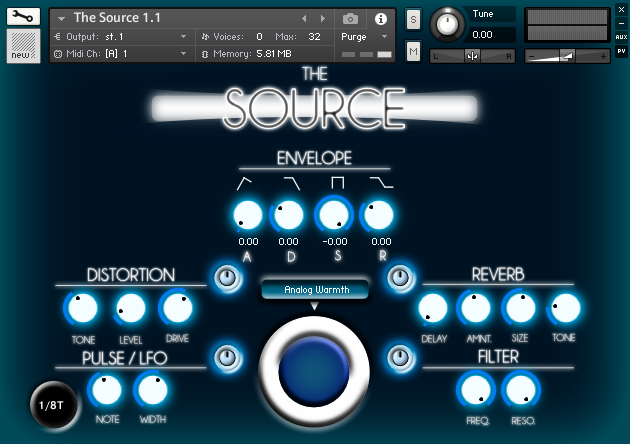 With source-based synthesis, users will encounter a beautiful balance between 50 Melodic and Effect–Driven Patches, which flow easily between styles and scoring applications. • Super-Long Samples Recorded At 60 Secs. Plus. • Requirements: Kontakt 5.4.3 or higher.